Making one small adjustment to the Carte d’Or Pannacotta Dessert Mix recipe, like whipping the cream, transforms a pannacotta into a light and fluffy bavarois. Perfect for a lighter option on your desserts menu. Bring half the cream to the boil in a large pot, remove from heat and add the CARTE D’OR Pannacotta Dessert Mix, mix well. Allow to cool slightly. Whip the remaining cream and fold in the pannacotta mix above. Pour into moulds and place into the fridge to set. 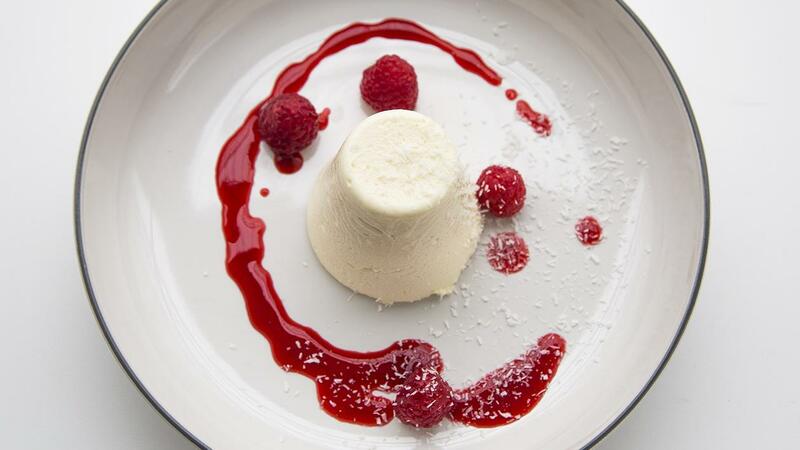 Remove the set bavarois from their moulds and serve with raspberries and raspberry coulis and sprinkle desiccated coconut as garnish.